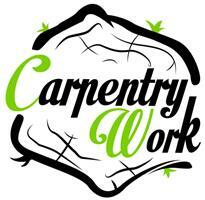 Carpentry Work - Carpenter, Carpets/Flooring based in London, Greater London. Over the years we have built strong, lifetime lasting relationships with our clients, who continue recommending us to their friends, family members and co-workers, not by obligation but because they truly believe that they will benefit! Our outstanding reputation is a combination of the hard work of our professional team members and the high-end building materials we use! We dedicate 100% of our time and energy delivering the highest level of service to earn the deepest level of trust! Each of our team members possess the necessary knowledge and skills to meet the individual needs of our clients! Carpentry Work provides team members with high quality tools and transportation. Carpentry Work provides a peace of mind to our clients by offering them high quality carpentry services.